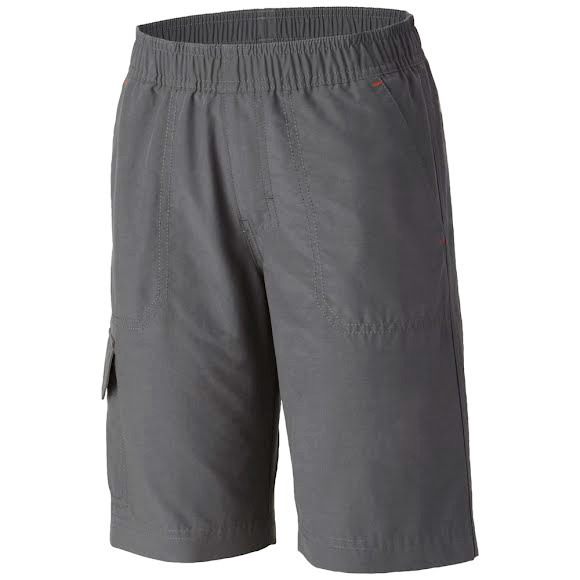 Lightweight, comfortable, and built to take on the outdoors, this versatile Columbia Boy's Youth Five Oaks™ Short shields them from harmful UV rays with UPF 15 sun protection. The elastic waist delivers an easy-wearing fit, while hand pockets and two utility pockets store everything they need for a full day of play. Lightweight, comfortable, and built to take on the outdoors, this versatile Columbia Boy&apos;s Youth Five Oaks™ Short shields them from harmful UV rays with UPF 15 sun protection. The elastic waist delivers an easy-wearing fit, while hand pockets and two utility pockets store everything they need for a full day of play.